I knew there had to be something better than bullet points. But you just don’t learn this stuff anywhere else. This workshop was a tipping point that got me up to speed quickly and excited again about giving presentations. I did it! Jumped in! I gave my first Visual Learning style talk the other day and it was my best presentation ever. Visual Language workshops offer step-by-step instructions for replacing bulletpoints with powerfully visual and flexible content. Level 1 focuses on the numerous ways pictures help tell stories and visually express ideas, along with photography skills and design best practices. 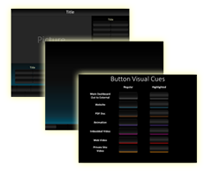 And you’ll use included templates to build what’s known as a “presentation platform,” basically an interlinked collection of all your slide shows that gives fast, convenient access to anything needed during a talk. Show and say ideas on the fly while speaking, as though jumping around inside a website. 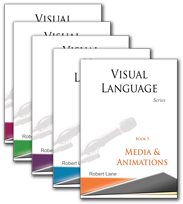 Level 1 registration includes a complementary copy of all five Visual Language Books and the Visual Language Templates (you save $258). And, you’ll get three free months of learning support. Level 2 sessions offer advanced visual communication skills for expanded design options. Add on-demand video to your growing presentation platform, along with audio, documents (PDF, Word, Excel), website links, and more. Such a robust presentation platform becomes like a content management system, a dynamic repository for everything that might be needed while in front of any audience, on any day. Level 2 sessions also focus heavily on a wide array of animation methods that bring content ideas to life. Plus, you’ll learn to build what are known as “shape graphics” that model, diagram, and represent topics when using pictures alone simply is not enough. Shape graphics combined with animations open up a whole new world of creative possibilities. Best of all, Visual Language sessions (both Level 1 and Level 2) offer more than mere theory. They walk through extremely hands-on, practical examples that are useful right away in upcoming talks. You’ll walk away with a wealth of down-to-earth strategies for leaving behind bullet points forever. Choose between two learning options. Either attend a live event held in different cities throughout the US or sign up for the on-demand video version of the course. We schedule live events over three consecutive days (per level) or sometimes offer them in a “condensed” two-day format. See the individual scheduling links for more details. Video workshops teach the same lessons offered in the live sessions, for both levels. Your access to the content does not expire. The Level 1 Video Workshop features 26 videos, each of which are divided into smaller segments for convenient access to individual topics. We recommend going through all sessions in order initially. Then, review desired topics by going directly to that information via hyperlinks. 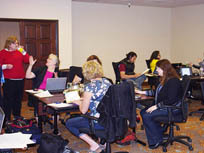 The Level 2 Workshop contains 11 similarly designed and organized videos. The videos showcase the trainer’s actions, as though you are there watching his computer screen in real time. Start and stop play at any time to practice the steps being taught. This is a very hands-on course and you should pause the video frequently to implement suggested actions. Note that if you choose to sign up for live, onsite workshop sessions instead, you’ll nevertheless get complimentary access to the video workshops as well, to facilitate review of the course materials. Either way, your access never expires.